The Cuban Research Institute is pleased to dedicate its 12th Conference on Cuban and Cuban-American Studies to Emilio Cueto, in honor of his multiple contributions to preserving and promoting Cuba's cultural heritage. The conference will be held on February 14–15, 2019 at the Modesto A. Maidique Campus of Florida International University. 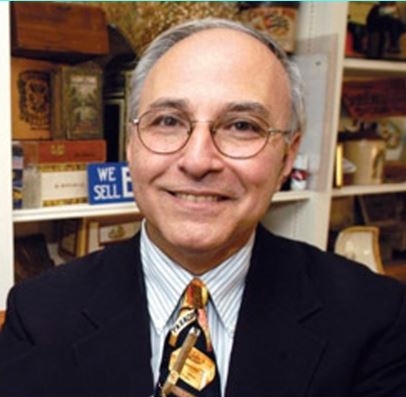 Emilio Cueto is a Cuban-American attorney, collector, and independent scholar. A retired attorney based in Washington, D.C., Cueto previously worked for the Inter-American Development Bank. He earned his J.D. from Fordham University Law School. He also holds an M.A. in Political Science from Columbia University and a B.A. in Political Science from the Catholic University of America. He earned his high school degree from Colegio Belén in Havana. Cueto is an expert on Cuban culture and history, especially colonial graphic art and music. As an avid seeker and guardian of Cuban memorabilia, he presently holds in his home one of the largest private collections in the world of Cuban-related material, including newspapers, maps, artworks, books, prints, scores, LPs, videos, and posters. His works have appeared in books such as Madrid habanece: Cuba y España en el punto de mira transatlántico (2011); Paseo pintoresco por la Isla de Cuba (1999); and Narrativa y libertad: Cuentos cubanos de la diáspora (1996). He has also published articles in periodicals such as Cuban Studies, Diario Las Américas, Espacio Laical, Herencia, El Nuevo Herald, Opus Habana, Palabra Nueva, and Revista de la Biblioteca Nacional José Martí. In addition, he has organized six concerts related to Cuban music at Florida International University.